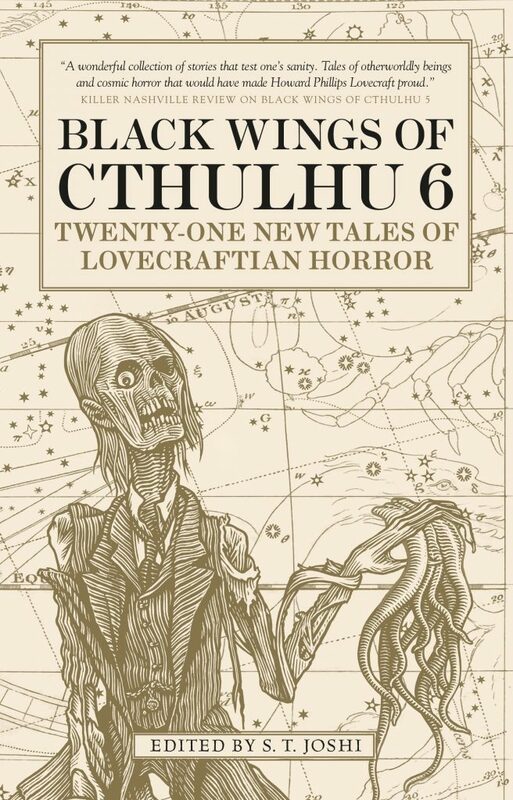 This latest instalment of tales inspired by Lovecraft’s Cthulhu Mythos, is a collection of stories and poems attempting to capture the atmosphere and spirit of the Great Old Ones. Predictably it’s a mixed bag with the short stories in general faring better than the poems in capturing the essence of their forbearer, although Adam Bolivar’s ‘The Ballad of Asenath Waite’ comes closest by employing a rapid, almost galloping metre to draw the reader in to the tale of Ephrain Waite’s body swapping and Ashley Dioses’ ‘On Dreamland’s Moon’ does an excellent job of utilising the language and style of Lovecraft’s rhyming epithets – it’s easy to imagine the lines being quoted in a mid-eighties Metallica opus. It’s good to see a fellow Welshman produce one of the stronger tales in this collection with ‘You Shadows That In Darkness Dwell’ – a cohesive and compelling tale that includes many Lovecraftian elements while at the same time retaining an evocative and original storyline. Darrel Schweitzer’s ‘The Girl in the Attic’ is similarly impressive in it’s invocation of the spirit of the original tales, while Donald Tyson’s ‘Missing In The Morgue’ fuses detective film noir with added Cthulhu flavouring and Don Webb’s ‘The Shard’ is an intriguing fusion of Sci Fi/Horror; so the stories cover a fair amount of genre hopping .